Our journey proceeded to Jodhpur after leaving Jaisalmer. We reached there by night and started exploring Jodhpur the next day. The most exciting part of visiting Rajasthan was knowing the fact that the dynasties of Kings are still leaving in these forts and they still live like real Rajwadas. They have their own state symbols and people still call them king or prince. You should have lots of time, visiting this fort. It is one among the largest forts in India. It is the only fort in India with a lift and it gives a panoramic view of the blue city of India, Jodhpur. It is an astonishing experience to watch out the belongings of the Royal families such as Royal Palanquins, the most grand dresses worn by Kings and Queens, cannons and rifles, and many more to describe. It was good to know that during those ages too, there was an existence of air conditioners and automatic fans. We can relate to the dynasties of Royal families from the present Television serial Maharana Pratap, where, Jodhpur, Jaisalmer and Bikaner were part of Marwar. Whereas Udaipur, Chittorgarh and some surroundings were known as Mewar. So far, we were having knowledge as Marwari means Rajasthani, but there are different parts in Rajasthan. There is a cafeteria inside the fort, where you can sit and relax to give your legs some rest. From the peak of the fort, we could see a grand structure, somewhere far from the city. We asked the people there, what it is and we came to know that it is the well known Umaid Bhavan Palace. We headed for the Umaid Bhavan Palace. It was pleasing to see a Palace with such huge land coverage. Dynasty of King is still staying in one part of the palace, just at the entrance. The second section is the museum, which displays the interiors of the palace on a live TV screen and some other presentations. You got to be very rich to visit the third section of the palace, which has been converted to a heritage hotel. It is totally non affordable by upper class Indian people. Only super-upper upper class can stay here or if you still wish to see the Royal touch, then you can spare $600 and have dinner there. There is a collection of vintage cars owned by the King, of which two were sent for some exhibition. Oh boy, they don’t need to work like Ambanis because they have been left with such great fortunes that they just need to convert it and monetize it. Even, Mukesh Ambani is not privileged to stay in such huge hectares and acres of land, as a residence. Jokes apart, we were totally awed with the kind of life, these people live. 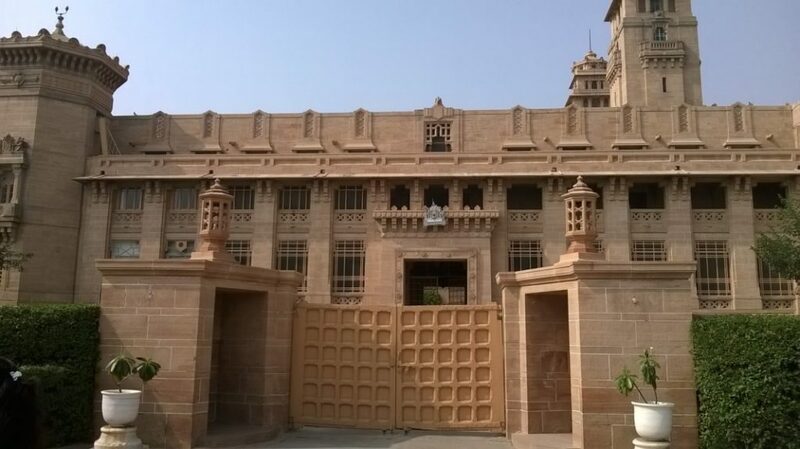 Umaid Bhavan Palace, Jodhpur, Rajasthan is repeatedly highlighted in news for the high profile weddings organized there. The Umaid Bhavan Palace is such a place in Indian history, which describes the real richness of ancient India and the most recent structure of Royals. 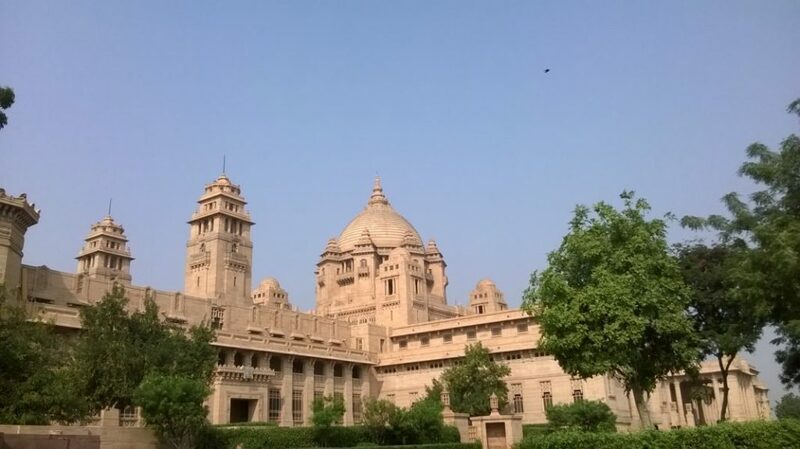 Visiting Jodhpur specially for the Mehrangarh fort and Umaid Bhavan Palace is a must. Overall, very nice city and loved the place totally. But the highlight of our Rajasthan tour is yet to come.